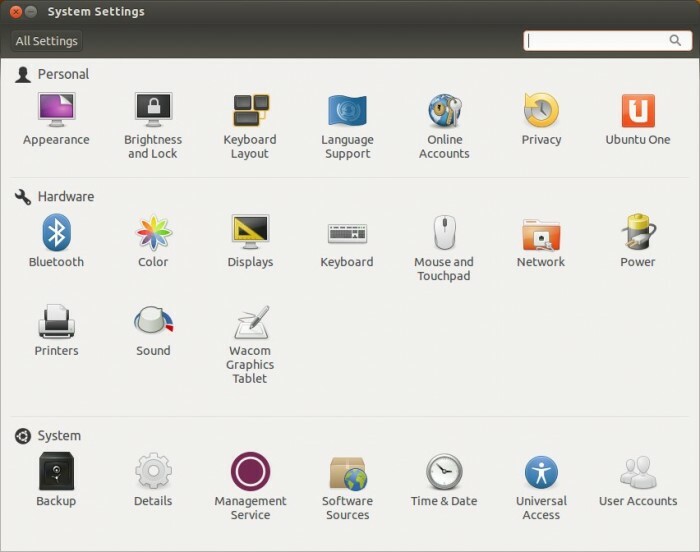 In Ubuntu 12.10 (Quantal Quetzal), there is no additional drivers section in system settings, in fact, it has moved to a new tab in software sources. If you’re using NVIDIA, ATI or any other graphics card and the graphics performance looks bad (poor rendering, noisy textures etc), then it means, you need to install the proprietary graphics card drivers. 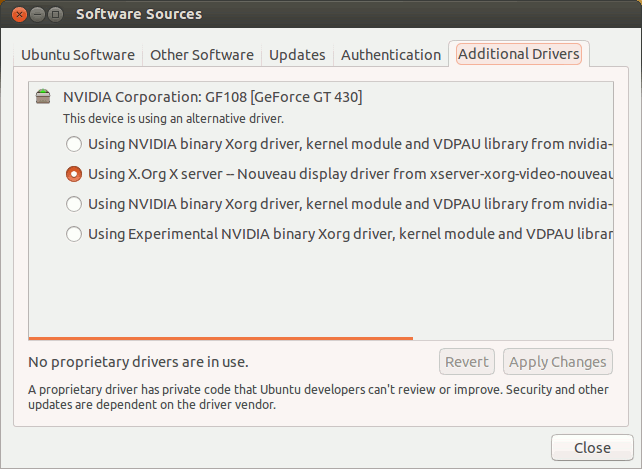 There may be a default open source driver (alternative driver, Nouveau display driver) enabled by default, but that doesn’t perform well in some cases, probably in high end graphics cards, in that case, you have to install the official driver from the manufacturer. 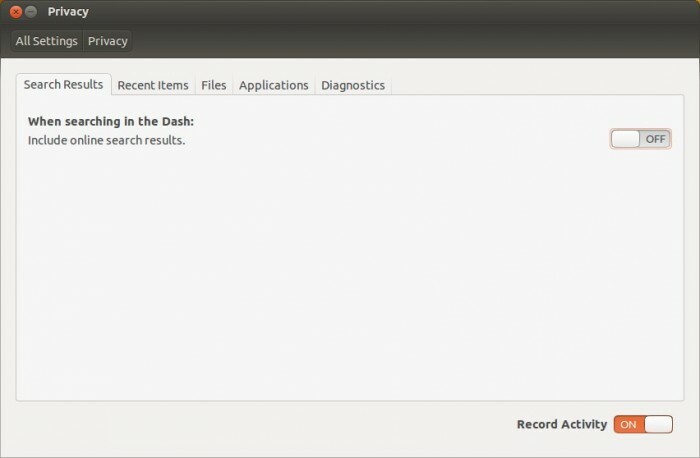 Ubuntu should automatically detect and recommend the appropriate driver for your device. 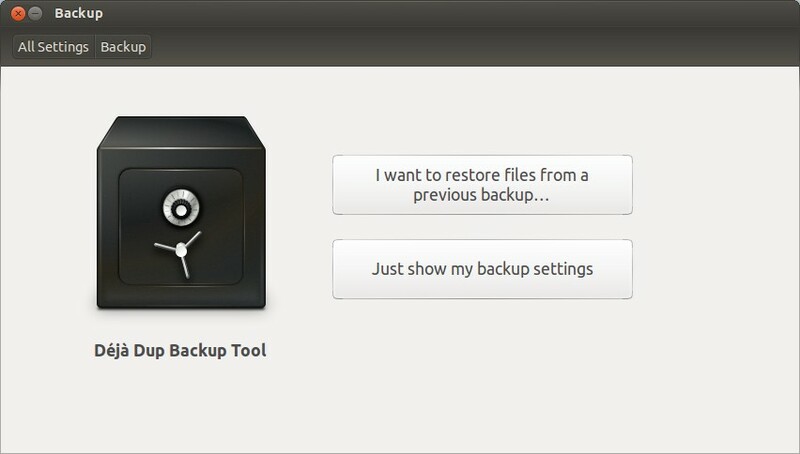 To install the driver, go to Software Sources -> Additional Drivers and select the appropriate driver. (I selected the first one, because it’s the appropriate driver for my graphics card, it’s tested and of course, it really worked – now the graphics performance is satisfactory). Then click on Apply Changes, it will download and install the drivers. Finally, restart your computer and you’re done! 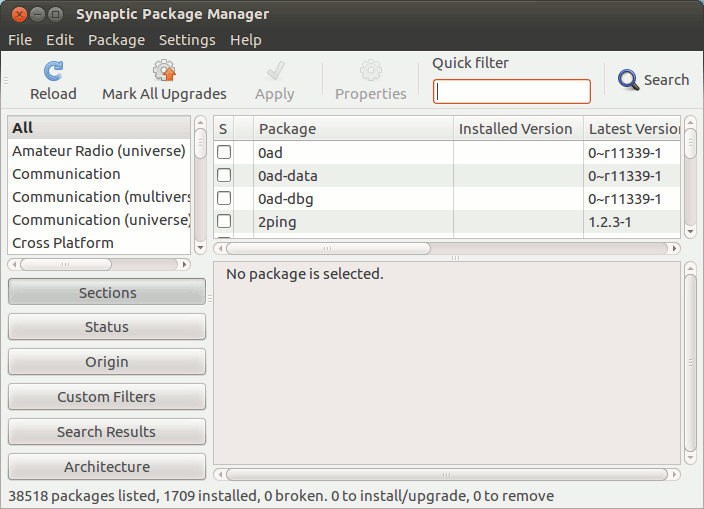 After a fresh install, you need to install/configure few programs in order to get things done on Ubuntu 12.10 (a.k.a Quantal Quetzal, it’s the code name for this release). Since Linux based distributions (such as Ubuntu) are based on Configuration Over Convention principle, so they can’t just do all the things by default. 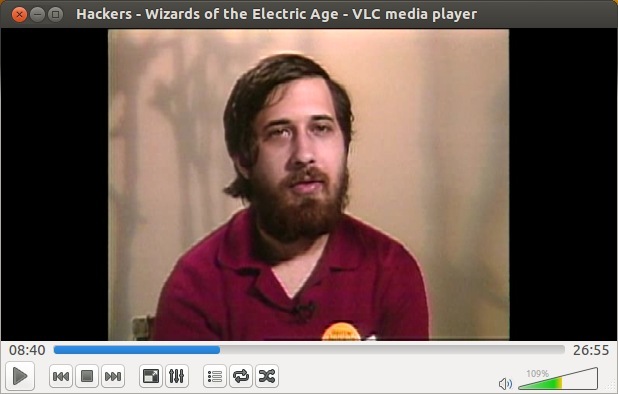 There are some licensing problems too, with proprietary libraries and codecs. But no one is stopping you, from doing what you want – so go ahead and customize your Ubuntu (12.10) desktop as you want; before you move on to some advanced stuffs, here are few essential things you should complete first. 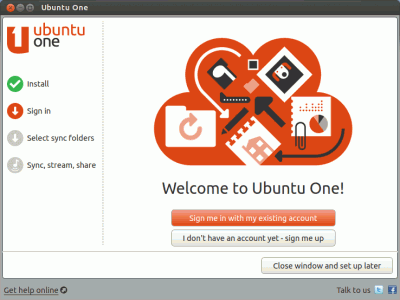 These steps are not strictly required but might help you in getting a better experience with Ubuntu 12.10 and possibly save a lot of time later if you’re a beginner Ubuntu user. 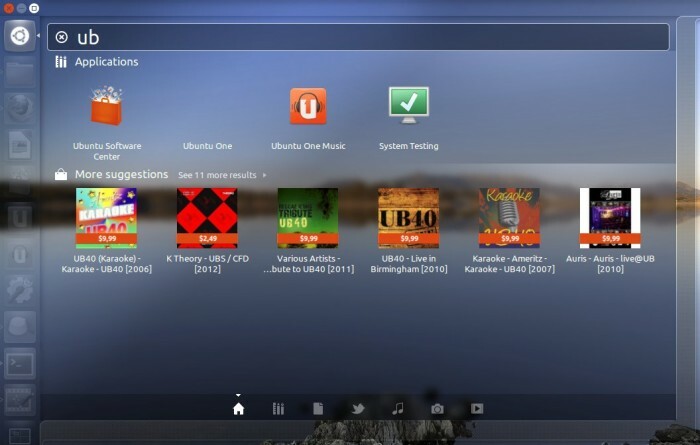 Although most of the things works out of box and you don’t need to install any drivers for the basic devices. But for other devices such as printer, graphics card, tablet, etc you will have to install the appropriate device drivers, in order to work. The Additional Drivers section, which used be there in system settings (in older version of Ubuntu), has moved to a new tab in Software Sources section. 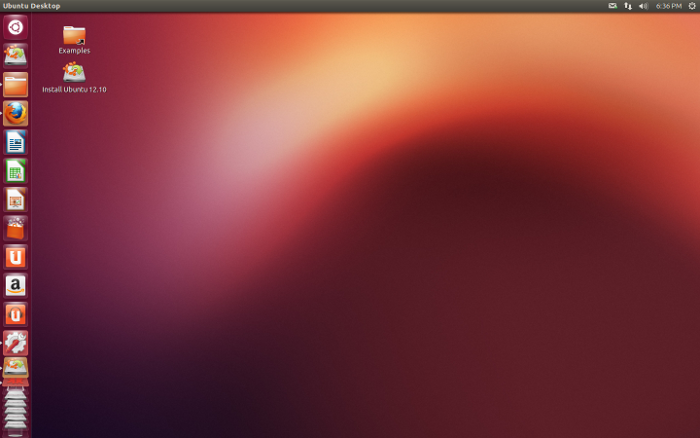 So if you’re using a graphics card (e.g a Nvidia Graphics card or whatever) then you might want to enable proprietary drivers (select a driver which is tested by Ubuntu developers) from that, unless you’re not experiencing any graphics problem with the open source driver (nouveau driver, in the above screenshot), enabled by default. When you select and apply changes, it will download/install the drivers. You may also have to restart your computer. 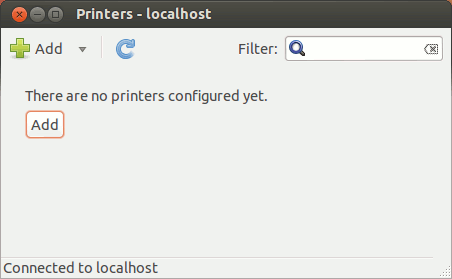 When you connect printer to the computer, the automatic driver installation setup should be started, you just need to select the correct model and it will automatically download and install the correct driver for printer/scanner (it’s far easier when you’re using HP or Canon printer). On the other hand if the automatic detection/setup process doesn’t begin you can manually start the process or in worst case you can download/install the driver manually from the official website of your printer/driver. 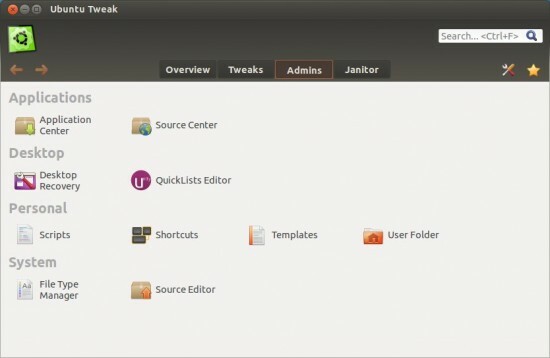 Ubuntu Software Center has thousands of free and open source apps, now even paid apps. So there is more likely that you will find a free and open source equivalent of your favorite window app, probably a better one (not kidding). Don’t like Firefox ? or just want a secondary browser, Try Google Chrome or Chromium! 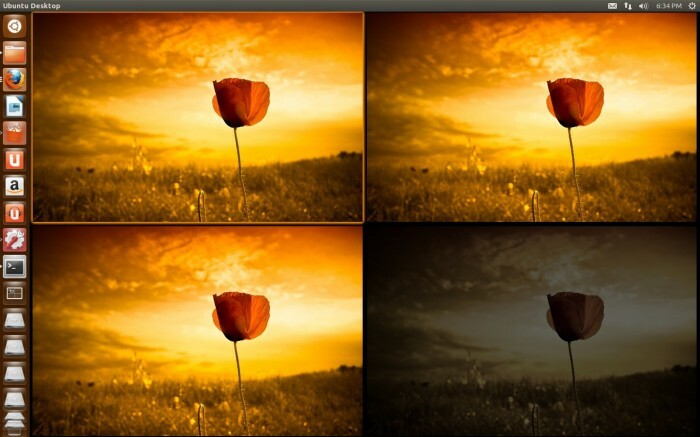 Want an image editing App ? like Adobe Photoshop, Try GIMP! 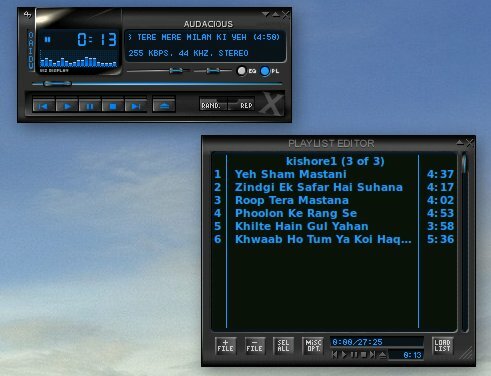 A simple Music Player like winamp ? Try Audacious! 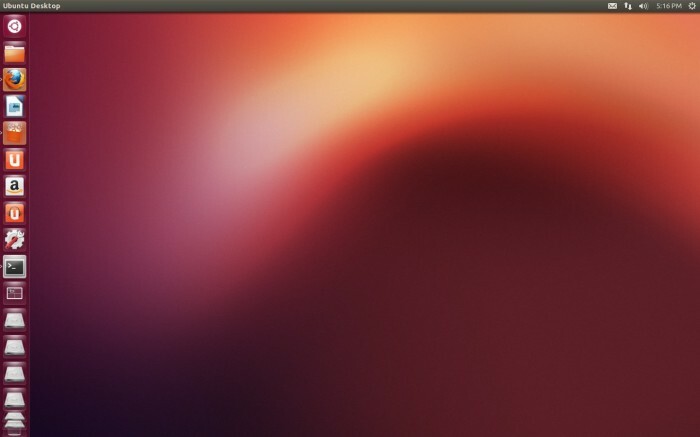 Open Ubuntu Software Center or Synaptic Package Manager (or terminal, if that’s what you prefer – use sudo apt-cache search <app_name>) and explore your favorite apps. In Software center, there are user ratings and comments, which will also help you in filtering great apps. and don’t forget to try integrating some cool web apps, right into your desktop. 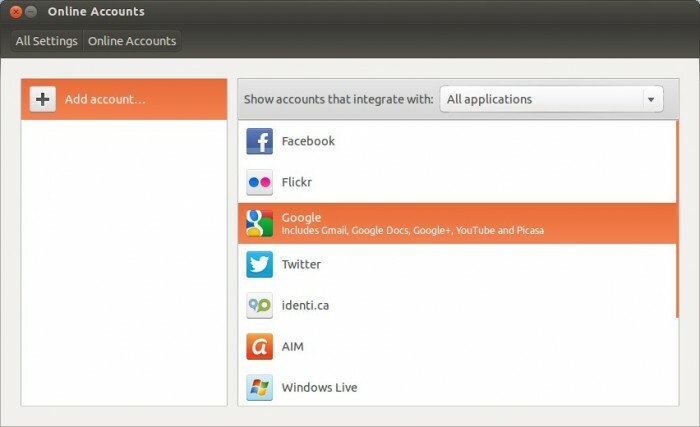 Go to System Settings -> Online Accounts for managing various accounts. 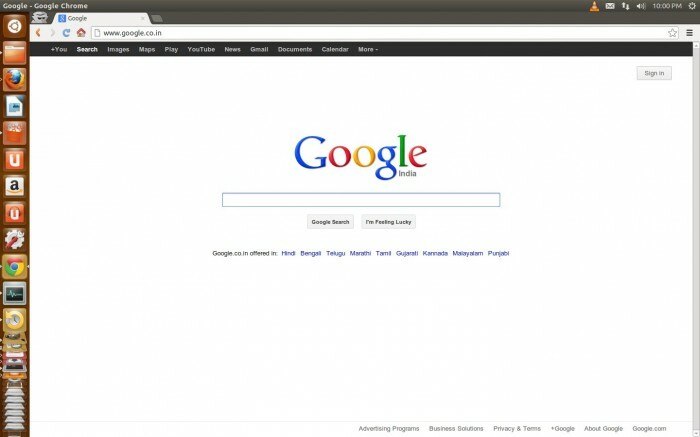 You should also checkout some other privacy options and adjust it as you want. 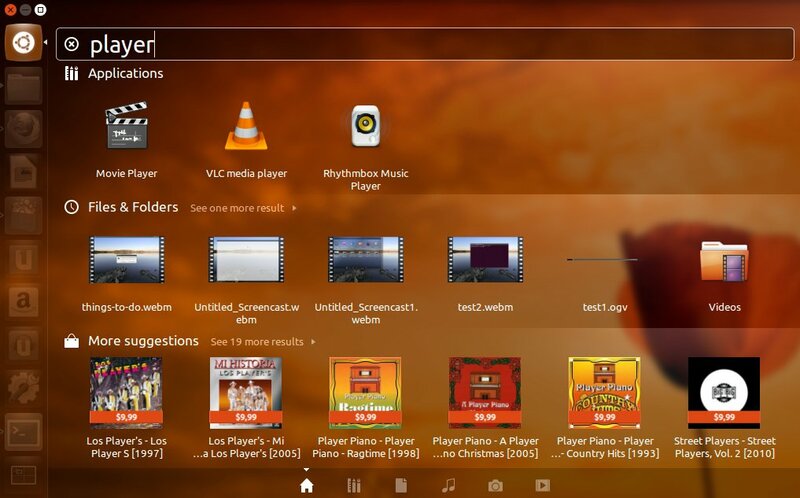 If you have used (or want to give it a try (or if you have Ubuntu One account then you can start using that instead)) Dropbox before then first install the app. Then start the application and login or Create a free account (if you don’t have already one) and you’re reay to upload/sync your critical stuffs. #8. Don’t like Unity ? 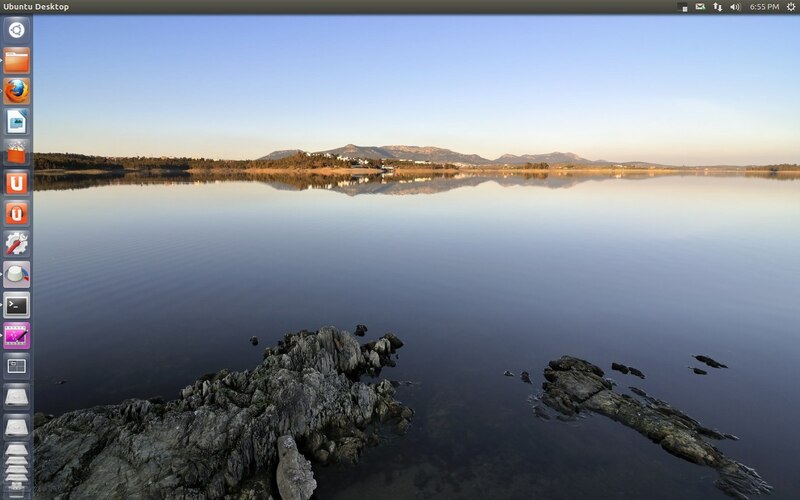 Try alternative Desktop Environments! 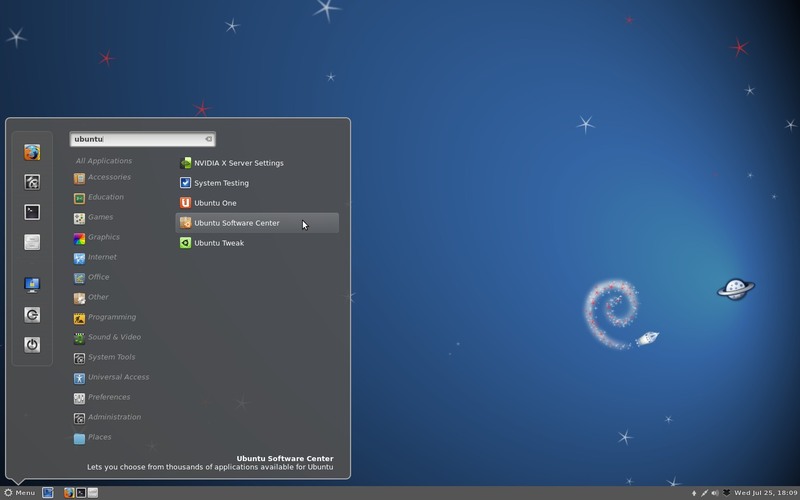 Unity is the default desktop environment (more accurately – it’s a shell (just like GNOME shell), made on the top of GNOME 3). 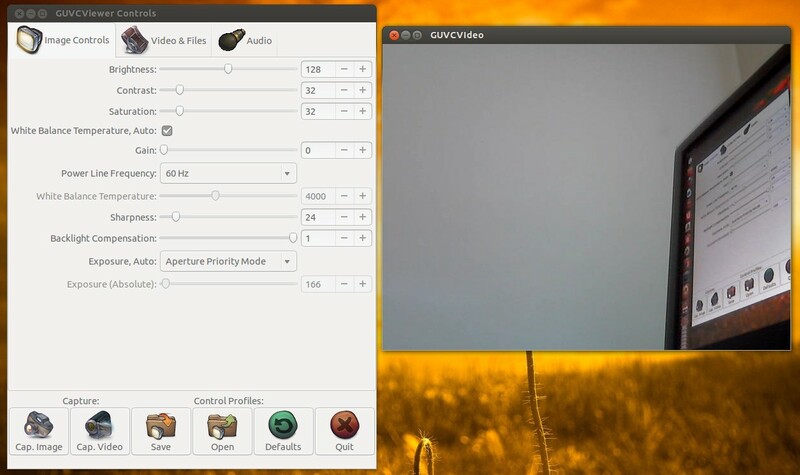 For any reason, if you’re not happy with unity, then you can checkout some alternatives such as Gnome Shell, Cinnamon, Mate, FLuxbox, LXDE, KDE, XFCE etc. Customizing Ubuntu is pretty easy, there are lot of tools available to customize various things like themes, icons, fonts, login-settings, unity launcher, unity lens behavior, graphics effects, app menu (e.g global menu options), applets, startup applications etc. 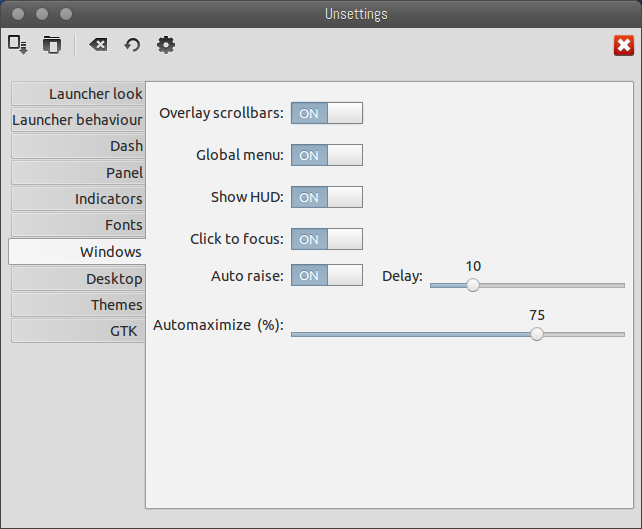 You can customize a lot things using System Settings but for more advanced options/tweaks there are many apps available such as Unsettings, MyUnity, Ubuntu Tweak, Gnome Tweak Tool etc. Update 1 : fixed some errors and added few links for more relevant stuffs. Ubuntu 12.10 stable will be released on the 18th of this month, but if you’re curious about the upcoming features in next version, then checkout – what’s new in Ubuntu 12.10 “Quantal Quetzal”, and some screenshots (below) from Ubuntu 12.10 beta 2. The Desktop : Unity, the default desktop environment (shell) with few improvements and tweaks (e.g buttons, launcher, graphics effects, panel options etc). 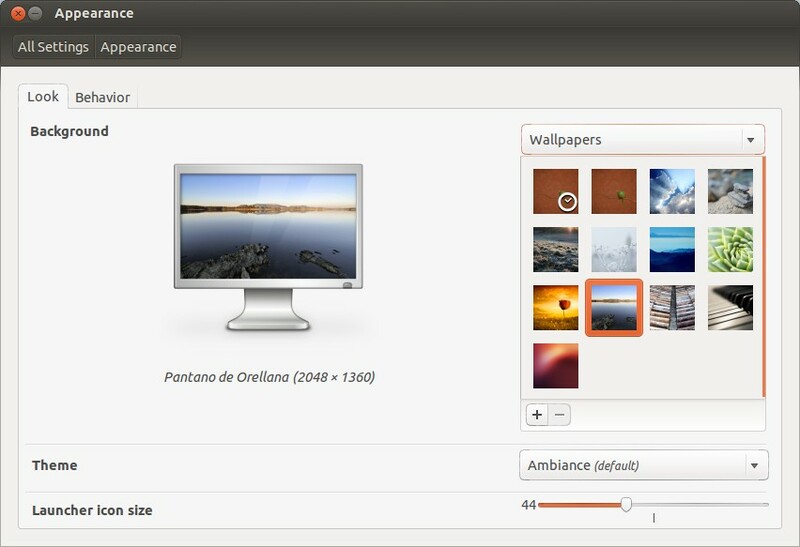 Appearance Settings – looks pretty similar to what we have in 12.04! Workspaces : active workspaces are looking more bright! Update #1 : added the additional driver / software source screenshot and fixed some error! Thanks to Mr. Iceman!